The Church is located 5.5 miles from Houghton Rd. traveling on Old Spanish Trail. 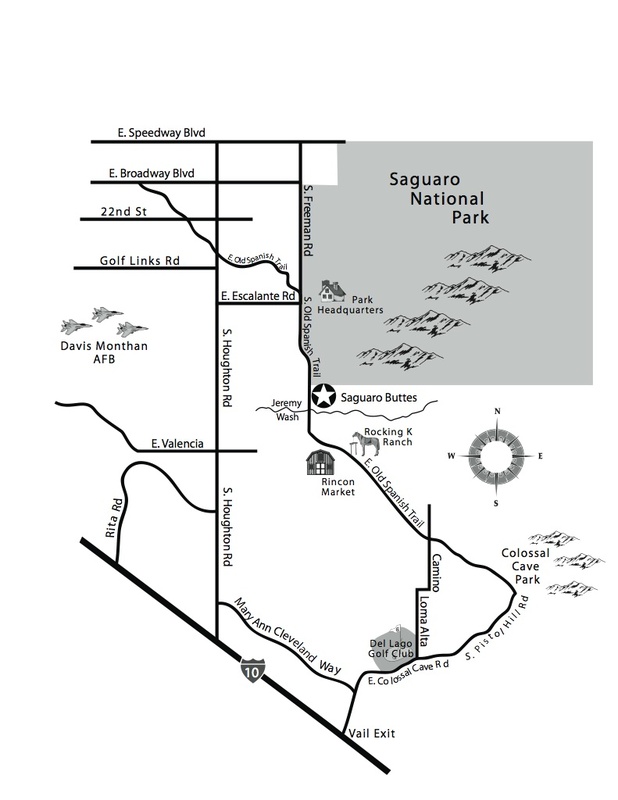 It is located 2 miles south of the entrance to the National monument. If you pass Jeremy wash you have gone too far. As you drive on Old Spanish Trail you will see the building pictured below. Just continue to the bottom of the hill and the entrance is on the left as you travel South.